Synopsis: Renfield (Dwight Frye), a young attorney from London, arrives at a small Carpathian village. His fellow travelers are staying in the village overnight but he insists on continuing on to the castle of a local nobleman, Count Dracula (Bela Lugosi). The villagers turn pale at the very mention of the name, and beg him not to go. But Renfield is there on business, and insists on completing his journey. Later, a ship drifts into an English harbor, all aboard her dead -- save for Renfield, who is now a stark, raving lunatic. Several crates from the ship are delivered to Carfax Abbey. From one of them emerges Count Dracula, who soon insinuates himself into London society, befriending Dr. Seward, owner of the Seward Asylum where Renfield is confined. The asylum, we learn, adjoins the grounds of Carfax Abbey. Dracula meets Dr. Seward's daughter, Mina (Helen Chandler); her fiancee Jonathan Harker (David Manners), and their friend Lucy (Frances Dade). Meanwhile, a string of bizarre murders has caught the interest of Dr. Van Helsing (Edward Van Sloan), an unorthodox scientist and student of the occult. Two small puncture wounds, he finds, were on the necks of each victim, including young Lucy. 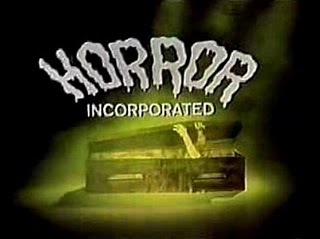 Comments: This is Horror Incorporated's fourth broadcast of Dracula in fifteen months, easily making it the program's most frequently-seen film. I've already written about it here and here, so for this go-round -- at reader kochillt's suggestion -- let's take a look at the Spanish-language version, filmed and released at the same time. For many years, distributing Hollywood movies to foreign markets was easy. That's because films were silent. If you were shipping Safety Last! to Madrid or Rome or Budapest, you needed only to swap out the English inter-titles with ones translated into Spanish or Italian or Hungarian. But once the sound era began, things got messy. Inter-titles weren't enough anymore, because stories were no longer 90% visual; now characters stood there and gassed on, scene after scene, for the whole length of the movie. While the studios eventually settled on the idea of adding subtitles and dubbing in dialogue with foreign actors, in the early days of talkies it wasn't entirely clear what the best solution was. One thing the studios tried was lensing shot-for-shot remakes of the same film, using a foreign cast on the same sets. And that's how we happen to have, essentially, two nearly identical versions of Dracula. 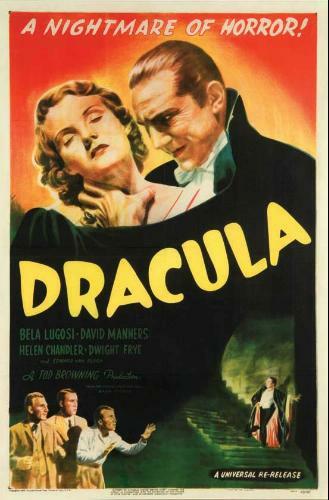 The Spanish version, directed by George Melford and starring Carlos Villerias as Dracula and Lupita Tovar as Mina, was filmed on the Dracula sets each night, after the English-language version had wrapped production for the day. For years it's been fashionable to insist that the Spanish-language Dracula is superior to Tod Browning's English-language version. And there are good reasons to think this. The Spanish version can claim more sophisticated camera work, and therefore doesn't seem quite as stagebound as Browning's movie. The Spanish version also contains about 20 minutes of material cut from the American version. But the two Draculas, filmed on the same sets using the same script at the same time, must come down ultimately to their respective performances, and it is here that Browning's version wins out. Watching Carlos Villerias' performance really gives you an appreciation for Bela Lugosi's otherworldly portrayal. Villarias portrays Dracula in a relatively straightforward way. He presents the count as a charming, handsome stranger with a sinister agenda, and this is fine -- it is, in fact, exactly what the script calls for. But it was Lugosi who did something more than what the script demanded, selling the Count as an embodiment of ancient evil, an entity that has spent so many centuries away from human society that even masquerading as human now requires a constant effort. 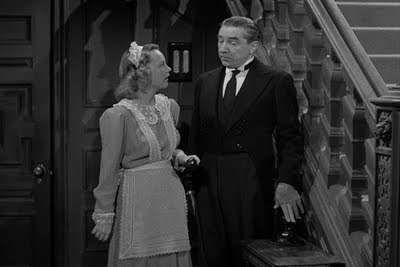 And for all of the criticism of Lugosi's hamminess, Villerias is far worse: his portrayal is, quite simply, acting for the stage. He makes no adjustment for the demands of film, and his mannerisms are far too broad to be taken seriously. 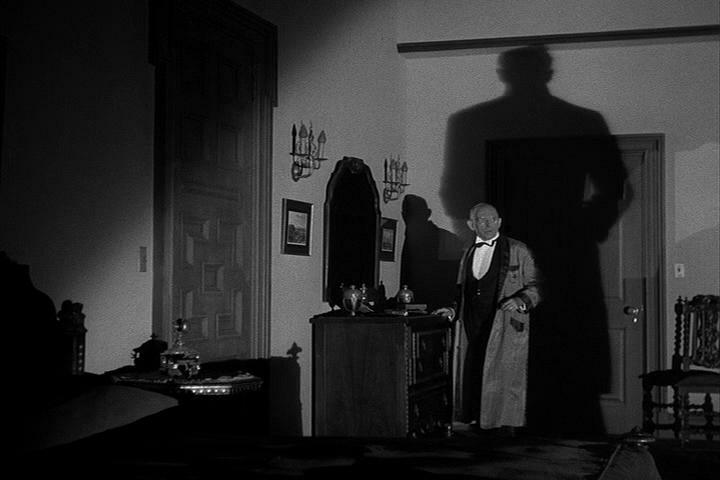 The crucial role of Dr. Van Helsing is taken up by Eduardo Arozamena in this version, and while I have been critical of the stiffness of Edward Van Sloan's portrayal, I have to say that Van Sloan turns in the better performance as well. This is probably not the fault of Arozamena, who projects a warmth that Van Sloan does not. Rather, the problem is that warmth is a quality Van Helsing shouldn't possess. Van Helsing is an obsessive, a perpetual outsider, an expert in things most respectable people regard as nonsense. But Arozamena comes across like a gentle family physician. In one critical scene, he overhears Mina (rebranded "Eva" in the Spanish-language version) relating a dream she had about a man entering her room and biting her neck. Van Helsing approaches her and asks when she had this dream. He then asks to see her neck. She refuses, and her father steps forward, gently undoing her wrap to reveal the bite marks on her throat. In the English-language version, however, Van Helsing himself opens her wrap to reveal the bite marks even after Mina refuses. This is a small but critical difference, showing that Van Helsing isn't interested in Eva's embarrassment or concerned with her modesty. His only concern is hunting the vampire that is hunting her. The third critical role is that of Renfield, and I must admit to liking Pablo Alvarez Rubio in the role, despite my great regard for Dwight Frye. And it isn't even because Rubio is better in the role -- I'm not certain that he is. We know that any actor playing Renfield is going to go over the top -- the role begs for it -- but Rubio goes over the top and then climbs on a platform over Over the Top and then gets on a motorcycle, Evel Knievel style, and jumps 16 buses of Over the Top, making Dwight Frye look like a department store mannequin and Charles Manson look like a composed, sensible fellow. It's impossible to tell if Rubio's performance is good or bad. But he certainly gets your attention. Lupito Tovar is far better than Helen Chandler as Mina (Eva in the Spanish version) but the part is so thinly-written that there is little an actor can do with the role, either for good or ill. Chandler belongs to the Gloria Stuart school of acting, which means she delivers every line with a high, tremulous uncertainty, as though trying to make up her mind whether to scream or faint. One of my favorite moments from the English-language Dracula is missing from the Spanish-language version. 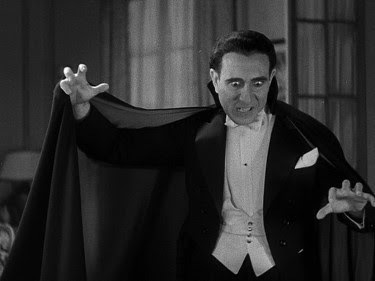 In Tod Browning's version, Dr. Van Helsing reveals that Mina has been bitten on the neck. "What could have caused this?" Harker demands. Then we hear a voice say "Count Dracula". Everyone turns to see Count Dracula standing in the entrance of the drawing room, and it is only then we realize that the maid is announcing his arrival. And while the Spanish-languge version does better with the business about the mirror in the cigarette box (Van Helsing looks in the mirror and sees Eva holding her hand up for Dracula to kiss, with Dracula nowhere to be seen) it's more effective for Dracula to simply knock the cigarette case out of Van Helsing's hands, as Lugosi does, rather than smash it to pieces with the cane, as Villarias has him do. Sometimes, even in horror films, less is more. Synopsis: The Ingston mansion lies near the Pollard Slough, a swamp in rural New England, miles from the nearest town. It's gloomy enough in the daytime, but at night it's really creepy. That's when the fog rolls in and weird things start happening. Kurt Ingston (Ralph Morgan) is the wealthy old recluse who lives there, along with his crazy sister Margaret (Fay Helm) and a gaggle of creepy domestics. In fact the only one in the house who isn't a weirdo is the maid, Milly (Janet Shaw), but she hasn't been there long and has decided to quit. She is creeped out by the place and by its inhabitants. She also thinks that someone from the Ingston house is responsible for a murder that happened nearby, and that there might even be a connection between the murder and a hulking creature seen roaming the area at night. The local constable, however, isn't buying it. Before long, the body of young Milly is found in the slough nearby. This brings the local constable to the Ingston Mansion. But that doesn't prevent the brutal murder of the three doctors. Harper and Baldwin begin to suspect Kurt Ingston -- after all, he had a motive for wanting the doctors dead, and perhaps he wasn't quite as paralyzed as he let on. But how could Ingston have committed the murders when it is revealed that he has no arms or legs? Comments: We turn now from Bela Lugosi's greatest screen role to one of his most forgettable. Inexplicably cast as the butler despite his top billing, Lugosi handles his minimal duties as well as he can, trying to be spooky and somber despite having almost nothing to do. Nevertheless, Night Monster works well enough thanks to a well-paced script, an extremely professional cast and the sure hand of director Ford Beebe, a man who spent most of his career working on westerns and serials. How he wound up holding the reins on this production isn't clear, but he never seems out of his element. Of course, there is nothing particularly tricky about evoking rural New England ("A-yep, somethin' spookay goin' on over in Pollahd Slough") but all the same he does just fine shepherding us through this trip to the boneyard. Overall, Night Monster kind of dazzles me every time I see it. This is the kind of movie that could only have come out of the studio system: modest in ambition, craftsmanlike in execution, designed to breeze in and out of movie theaters at the bottom end of a double bill. 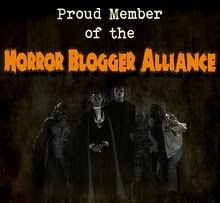 And best of all it works, which is more than you can say for most horror films released today, regardless of budget. Here, the double feature pairs the only Universal films that granted top billing to Bela Lugosi, which never happened on CHILLER THEATER. 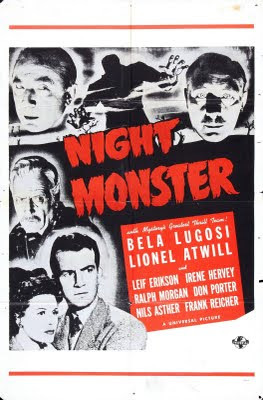 Although generally wasted in 1942's NIGHT MONSTER, I do appreciate his presence, especially since it's one of the studio's most underrated creepfests. You beautifully capture Frank Reicher's death scene, in which the monster's shadow becomes so impossibly large that his victim might well die of fright! I simply love the gloomy, fog laden atmosphere that various cast members comment on, everyone wishing they were somewhere else (the audience will stay right here, thank you!). And first victim Janet Shaw is so good that it's a shame that she had few standout roles beyond a multitude of unbilled bits, such as the beautiful cabbie from last week's HOUSE OF HORRORS (she only got the part when Elyse Knox bowed out). Speaking of Mystery Writers on Holiday, check out Monogram's VOODOO MAN, with Tod Andrews as a screenwriter who suggests Bela Lugosi for the starring role for his great horror opus to producer S. K. (Sam Katzman). The Spanish Dracula basically shot the entire script, clocking in at 103 minutes, nearly a half hour longer than the Lugosi version, which apparently filmed a great deal of footage that was trimmed before final release. There is no fog during Renfield's nocturnal journey to Dracula's castle, and we get to see angles far more revealing of both props and sets that make the added length go by without a hitch (most of the additional footage simply lengthens scenes already present in the Browning version). Of course, the script tones down the novel's horrors, and Browning's cut tones them down even further, but you are absolutely correct in stating that Lugosi brings more to The Count than Carlos Villarias, whose worst moment comes with the sight of Renfield's cross, more akin to bad breath than sudden shock. Interestingly, Lugosi has Mina walking in a trance, while Villarias carries the diminutive Eva, being forced to place her on the steps for the fatal showdown with the pleading Renfield, played by an excellent Pablo Alvarez Rubio, although I did tire of hearing the word Maestro endlessly repeated. Once Lupita Tovar's Eva falls under the vampire's influence, she comes out wearing a shocking see-through outfit that reveals a stunning set of breasts, still a teenager at the time, and you can actually see why producer Paul Kohner was so fascinated by her that he began doing foreign-language versions just to know her better (even Carmen Guerrero makes Frances Dade look chaste by comparison). Those red blooded Latinos certainly proved to be more daring than their Hollywood counterparts, as German Robles became the first on screen vampire to sport fangs in 1957's El Vampiro.